The Hyundai Kona was launched earlier this week in China as the Encino. 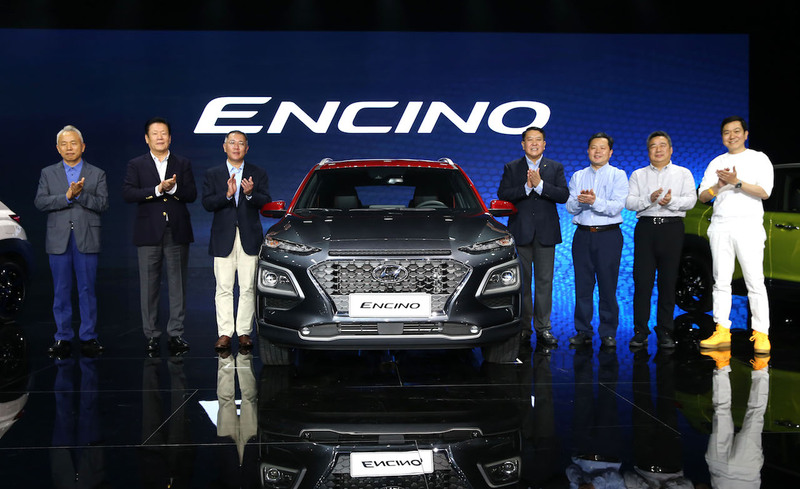 The Hyundai Encino is a product of the Bejing-Hyundai JV company. The Hyundai Encino measures 4,195 mm in length, 1,800 mm in width and 1,575 mm in height. It has a 2,600 mm wheelbase and a 172 mm ground clearance. All configurations employ the 1.6-litre T-GDi turbocharged petrol engine that produces 130 kW (177 PS) at 5,500 rpm and 265 Nm of torque at 1,500-4,500 rpm. A 7-speed dual-clutch transmission is standard. An AWD system is unavailable. LED headlights, LED DRLs, 18-inch black alloy wheels, LED tail lights, electric sunroof, integrated roof rails, dual tailpipes, two-tone colour scheme and Shark fin antenna are the exterior highlights of the Hyundai Encino. The premium B-SUV features two-tone colour scheme inside too. 8-way electrically adjustable driver’s seat, leather upholstery, electric parking brake, dual USB ports, 9.6-inch touchscreen infotainment system with Apple CarPlay and Baidu CarLife and 6-speaker sound system are some of the main interior features. The Hyundai Encino is available exclusively in the 1.6L T-GDi 7-DCT FWD mechanical configuration. 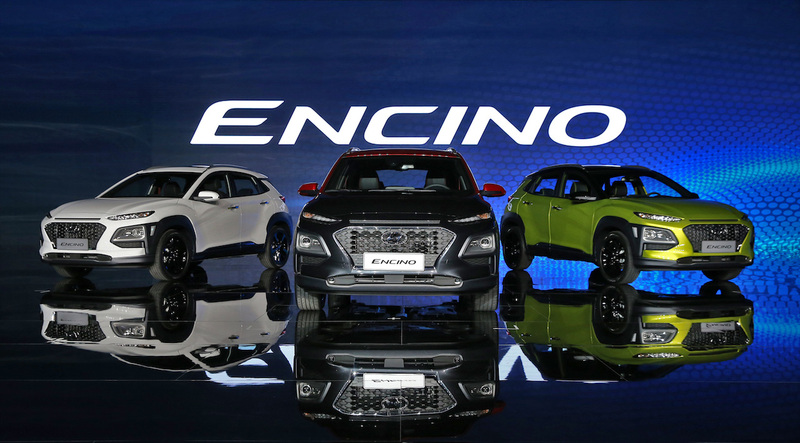 The Hyundai Encino is available in four grades with prices starting at 1,29,900 yuan (INR 13,48,916.53) and going up to 1,55,900 yuan (INR 16,18,907.53).